This past weekend, Israel experienced an escalation in the level of the conflict it is engaged in against the regular armed forces of Iran in Syria. It was Iranian forces, not Hezbollah and not any other Shiite militia, who sent an advanced drone, capable of espionage as well as bombing, into Jordanian and Israeli airspace. The incident escalated quickly into an attack by the Israeli Air Force on Syria's aerial defense system and Iranian targets on the ground. Anyone who understands the way Iran's mind works realizes that the regime is looking to raise the level of its struggle against Israel – first and foremost so as to damage Israel's deterrent power, but also in order to negatively affect its economy, tourism, morale and internal unity. We have already watched Arab Joint List MK Aida Toume Suleiman park herself in front of the IDF draft office armed with a megaphone, inciting new recruits to refuse to enlist because of what she called "Israel's violation of Syrian sovereignty." The Iranians are attempting, with all their power, to drag Israel into the kind of bloodbath they created in Iraq, Yemen and Lebanon. In order to consolidate their control , they are arming, supplying, financing and training the various Shiite groups so as to gain a physical foothold in the Arab world, and to encircle the Saudis, Jordanians and Israel with the northern tentacle of the Iranian octopus (Iraq, Syria and Lebanon) and with its southern arm (Yemen). Iran does not bother taking the Gulf Emirates into account, believing that they will fall into its arms, especially since Qatar is already locked in an Iranian embrace. Saudi Arabia is the loser in its long term dispute with Iran, mainly because of the support US President Barack Hussein Obama afforded the Ayatollahs and their aspirations by handing them billions of dollars and signing the generous nuclear agreement with them, concurrently granting them economic breathing space by ending the sanctions that threatened their regime's stability. The cold shoulder Obama gave the Saudis, and his support for the Iranians weakened the Saudi economy to the point where the monarchy was forced to limit drastically its aid to its allies in Yemen, Iraq, Syria and Lebanon. Now Iran plans to continue carrying out its master plan by turning its face towards Israel. 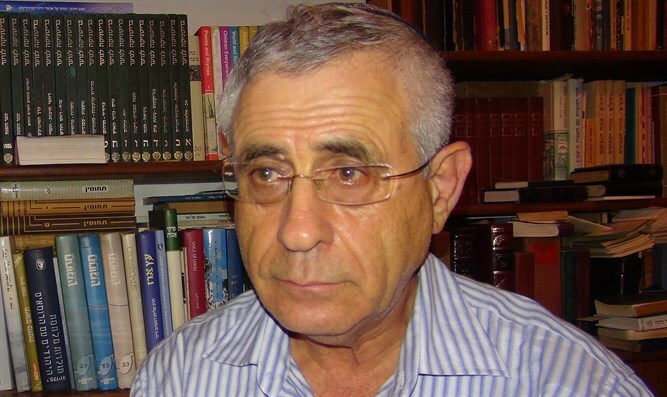 The question facing Israel's government, that of how to deal with the growing challenge posed by Iran, leaves it no choice but to plan concrete steps against the Islamic Republic. One way of dealing with Iran is to repeat the failed Saudi efforts to battle Iran's proxies and the Shiite militias armed and funded by Iran. That means a long list of incidents over many years in which the Iranians attack us and we retaliate, they shoot at us and "we teach them a lesson." It means one week of fighting followed by a week of tense calm, another day of fighting followed by a day of quiet, and the constant price of fallen, dead and wounded, frayed Israeli nerves, limited tourism, talking heads analyzing the "situation" and no one with any idea of how solve the problem of ever-escalating and more frequent bouts of violence. That is why, before we slide down the yawning jaws of events into which Iran is trying to drag us , we have to think 'out-of-the-box' of the failed solutions that broke the backs of the Saudis and millions of Sunnis in Yemen, Iraq, Syria and Lebanon who were not clever enough to try the only thing capable of solving the Iranian problem and liberating the world from the danger posed by the Ayatollahs – breaking up Iran into its ethnic components. Anyone with an interest in Iranian sociology knows the truth: Iran is a country with tens of ethnic parts, with the Persians making up little more than half of the population and the rest Azars, Balochis, Kurds, Arabs, Turkmen, Cascasi, Luris and what have you. The Balochis, Kurds and some of the Arabs are Sunni and in a permanent state of rebellion against the central government. The rebel organizations they have spawned are constantly acting against that government, from acts of general sabotage to damaging official vehicles, attacking government institutions, police, army and security forces and their officers. The Arab minority of Iran, in whose region the oil and gas reserves of the country are found, consider their lands "occupied territory" since 1925 and demand independence from Iran. The Iranian regime does all it can to hide the opposition's activities from the public eye. It does not allow foreign journalists entry into the mutinous regions so as not to expose the soft belly of the Iranian regime, but social media report on what is happening. These activities, however, have not yet captured the attention of the world. There is a deep hatred of the Ayatollahs simmering inside large sectors of Iranian society, a hatred that burst into the streets in a series of large demonstrations last November that have not yet entirely dissipated. The cry "death to the dictator" was shouted by many, including many women who stood on podiums in front of the public, removed their head coverings and hung them on sticks to show their mockery for the Islamic law which they are forced to observe. This phenomenon led one of the Ayatollahs to announce that head covering for women is not mandated by Islam, and this announcement, added to others siding with the angry demonstrations against the widespread corruption in the corridors of the regime – is proof of the fear that fills the hearts of the Ayatollahs at the thought of the revenge of these angry crowds. This is the soft underbelly to which anyone concerned about Iran must pay heed. It is the target at which arrows must be aimed, straight at those ethnic groups fighting for independence and the restless youngsters fighting for liberty. Israel can find those anti-Ayatollah forces, and this step is totally justified, because it is exactly what the Iranian regime does in any region where it finds someone willing to rattle the system using Iranian money. Besides, Iran's long term support for Palestinian terror organizations, especially Palestinian Islamic Jihad and Hamas in their terrorist war against Israel, justifies every Israeli action against the Ayatollahs as a form of self defense, recognized in international law and allowed in wartime. 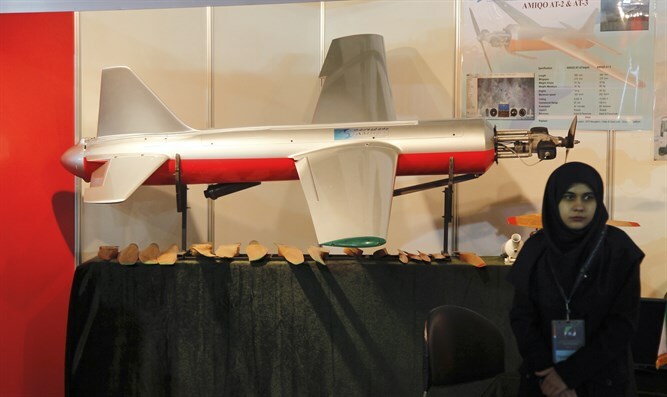 Iran publicly supports terrorist organizations in Gaza, Judea and Samaria, sends drones against Israel, defines itself as being in a state of war against Israel, and justifies its anti-Israeli actions on different levels by saying in "war as in war." There is no doubt that any Iranian who reads this article will say: "Look at these Israeli, all they want to do is break us apart." My answer is crystal clear: "What have you been doing for years in Syria, Iraq, Yemen and Lebanon? Aren't you breaking apart their societies and governments after literally breaking apart hundreds of thousands of their citizens? People who live in glass houses shouldn't throw stones." This should not have to be Israel's responsibility alone. In the Middle East and outside it, other regimes suffer from the expansionist ambitions of Iran and are concerned about its nuclear project soon posing a real threat to world security. The effort to unsettle Iran's stability must be an international one, publicly declared and known. The countries of the free world must support those minorities hungry for freedom who are now suffering under the Persian yoke. The world's democracies must remain true to their principles and actively support the young , modern Iranian liberals who yearn to live according to their own choices and not by the dictates of the Ayatollahs. The world must use a magnifying glass to examine the behavior of the Ayatollahs in detail and to make them pay for every violation of civil, women and minorities rights in Iran, giving Iranian men, women and minorities the feeling that someone stands behind them and supports their demands. This feeling will strengthen their resolve to fight the despotic regime ruling Iran and bring them to act in a determined way to achieve liberty – thereby freeing the other nations of the world from the threat of its dark cloud . That is the only way to free the world of the threat of the Ayatollahs, to free the Middle East from their grasp and to save Iran's minorities and its citizens from a slow death under people who believe that the supreme leader is omnipotent because he is a prophet. The world must start a brush fire burning in the Ayatollah's backyard and send them off to oblivion.